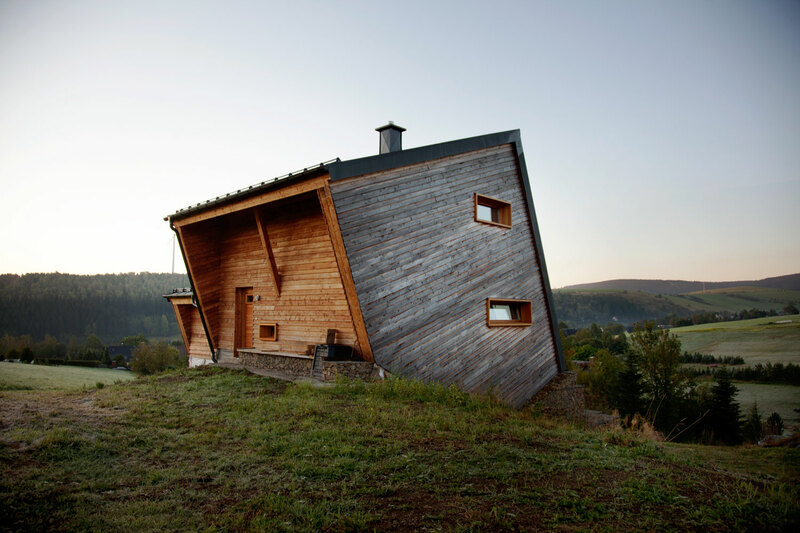 This wooden structure, seemingly atilt, overlooks a green valley in Oberwiesenthal, Germany. The two horizontal windows on the side and the front porch give the home its own off-kilter sense of balance. In New York state, this 200-square-foot charred cedar–clad cabin doesn't offer many amenities, but it does have a cast-iron Jøtul stove and built-in library that doubles as an added layer of insulation. This 191-square-foot cabin near Vancouver and its glass facades "forces you to engage with the bigger landscape," architect Tom Kundig says, but it seals up tight when its owner is away. The unfinished steel cladding slides over the windows, turning it into a protected bunker. Set in a beautiful stretch of fjord country about 250 miles northwest of Oslo, the Juvet Landscape Hotel is the kind of place you could not even dream up. Designed by Jensen & Skovdin, the cabins are built on stilts in order to impact the environment as little as possible. Despite the modernist aesthetic, the buildings were built by local craftsmen using traditional materials and techniques. On a sloping site near a defunct rock quarry on the remote lobster-fishing island of Vinalhaven, Maine, a three-part summer home overlooks a framed view of Penobscot Bay. Working around the site’s unique topography, design-build firm GO Logic created each structure at varying elevations.